What is honeycomb girder structure? 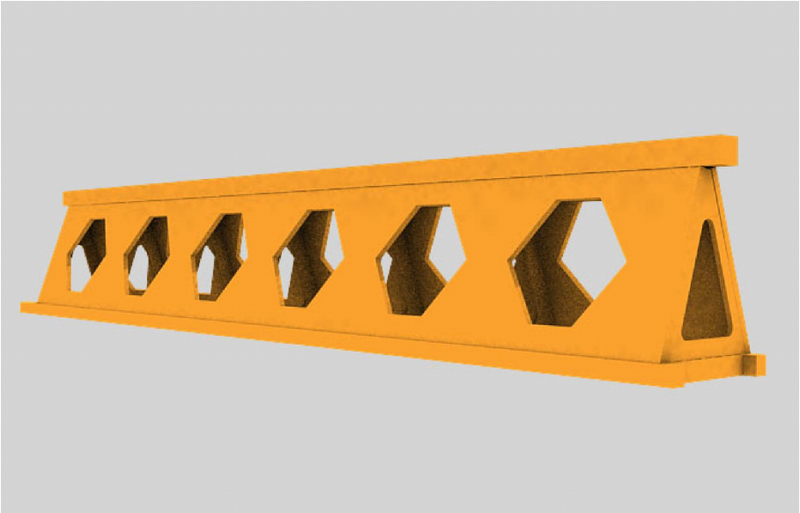 Honeycomb girder structure is specially developed by ZZHZ, used as main girder of gantry crane and highway launching gantry. 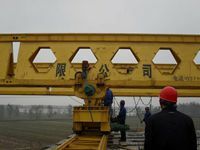 Honeycomb girder refers to a steel main girder with hexagonal honeycomb holes in the web plate. Its section is isosceles triangle which is the most stable structure in all shapes. The honeycomb girder sections are connected with high strength bolts for convenient transportation and assembly. And the connecting parts are stiffened plates which will totally meet the demands of design loads.